I hate wearing neckties. I always feel as though they are trying to strangle me. The tie just doesn’t seem to have a practical reason for being in my wardrobe. 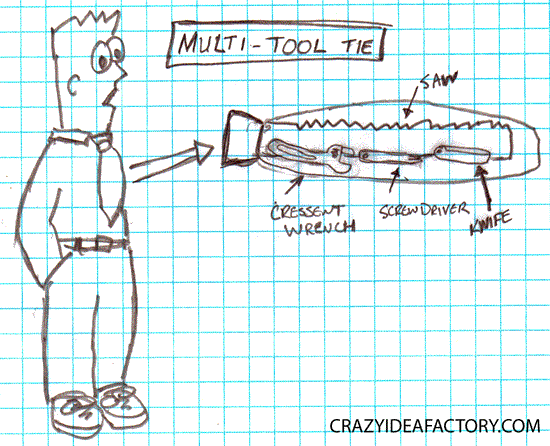 To motivate people like myself to wear ties they should have tools built in. Like a Swiss Army Knife and necktie combination. 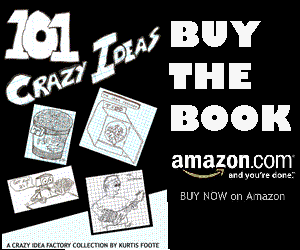 The Tie Multi-Tool would be large enough it could include large tools a standard pocket knife would not have room for, such as a hand saw and a large crescent wrench. I can see the Tie Multi-Tool coming in real handy the next time I get invited to a cocktail party and I need to cut a couple of boards (I wonder why people don’t invite me to parties? ).